BRS eGift Card Treat your friends, family, coworkers or fellow aquarists to reef aquarium supplies! BRS gift cards are delivered in electronic format via email so there is no waiting for shipping/mailing, they are able to be redeemed almost instantly after ordering! eGift Cards are delivered electronically via email instantly and can be redeemed at any time. eGift Cards can be used to purchase any in-stock products. eGift Cards can be redeemed when viewing your shopping cart. 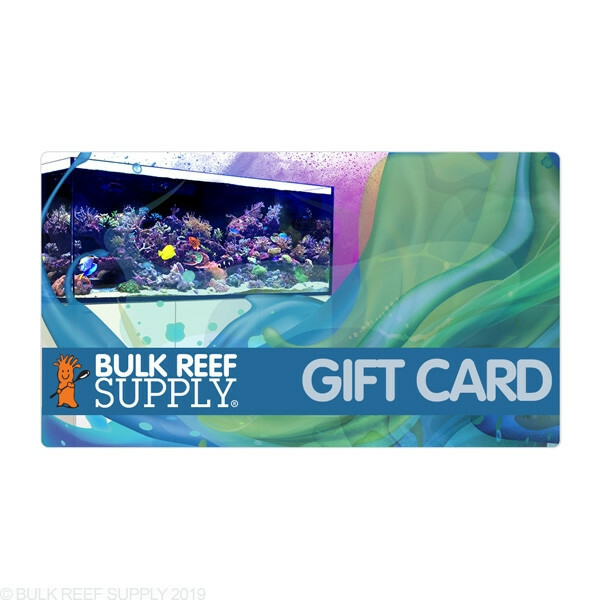 BRS eGift Card Treat your friends, family, co-workers or fellow aquarists to reef aquarium supplies! BRS gift cards are delivered in electronic format via email so there is no waiting for shipping/mailing, they are able to be redeemed almost instantly after ordering! Giving a BRS eGift Card as a Gift? BRS eGift Card codes are electronically sent to the recipient by email instantly once the purchase of the gift card is complete. If you intend for the gift card to be a gift at a later date and do not wish for the gift card to be received by the recipient right away, put your email in the recipient field and the gift card code will be sent directly to your email. That you can forward to the intended person at your leisure or even print out the code for a physical gift. BRS eGift cards are also not redeemable for cash and cannot be transferred to other persons or entities. BRS may also cancel eGift cards at any time and will refund unused gift card credit amounts. Coupon codes and promotional discounts can not be applied toward BRS eGift Card purchases. Thanks for offering a gift card option. This was so quick and easy to setup. They even let you redeem your BRS points towards the purchase of it. My husband loves his aquarium and we get monthly packages from BRS, so when I saw you had ecards the choice was easy for his birthday. He loved it and I loved the ease of the transaction. 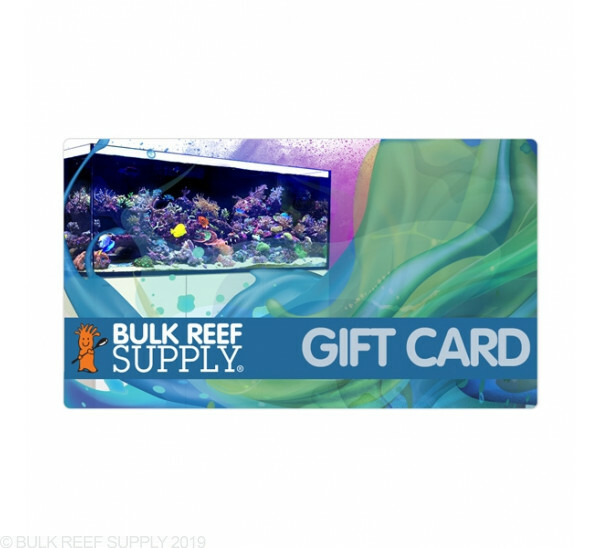 To give a gift to Aquarium enthusiasts, nothing could be easier than an egift card from Bulk Reef supply. BRS does all the work, you just decide the amount. Used this to convert a bank gift card to use on one of my orders here. Only took seconds and it was in my inbox. Easy to purchase, easy to use. For those not in the hobby or unsure what to buy, this is the perfect gift for anyone in the hobby. This is the easiest gift card I have ever bought. It comes when you want it, NOW! For those complaining about not being able to gift this, just send it to yourself print out the email and send it or gift it that way. The transaction went smoothly. I loved that I could choose my amount and then just email it to the recipient. Now he could choose his gift without me guessing. Perfect gift for any reefer! I would like to purchase gift cards as a Christmas gift. Does it have to go to their gift card or can I print out a code or something and give that as a gift?